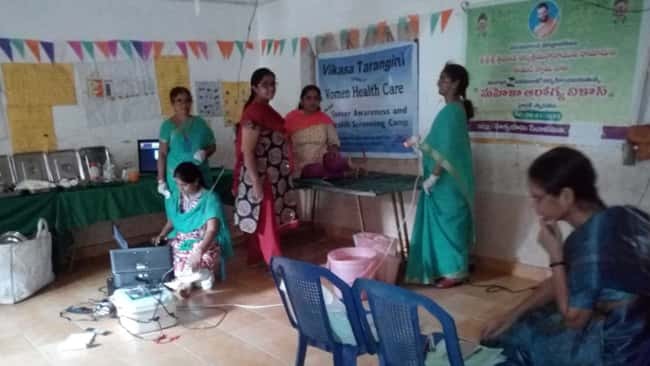 VikasaTarangini conducted Womens Health Care (Mahila Arogya Vikas) medical camp on the 21st of January 2018 in Yellakota mandalam, Guljam village. They also conducted a second follow up medical camp on 28th January 2018 in Yellakota mandalam, Guljam village. Navadoya Vivekananda Trust donated generously for the camp . 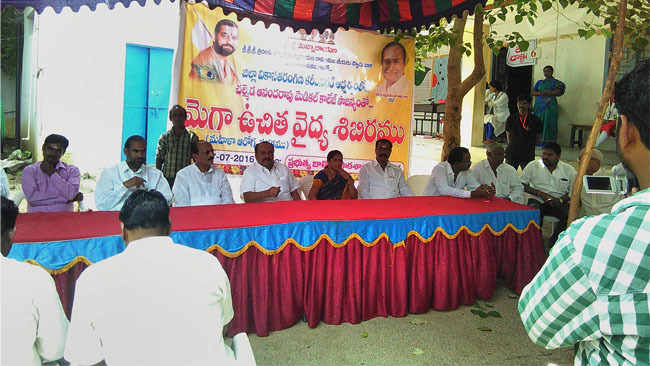 This camp was conducted by Oncologist Leelu garu. In this camp there were 18 follow up patients from the previous camp. And there were 60 1st VIA patients. Of them, 9 members were referred for 2nd VIA Test.